Venice, Germany and Lisbon, in that order, outside France, and Turquant near Chinon, closer to home. Venice comes first because of our wonderful gondola experience (which sounds very touristy I know) and all our other less touristy visits as it was our second time in the Floating City. Strange as it may seem, it was not until I had read my way through Donna Leon’s 23 Commissioner Brunetti crime novels a few months later that it became really apparent to me that there are no cars in Venice. I see Venice as being full of canals and bridges and boats and alleyways rather than being without cars. I was fascinated by all the different types of boats and activities on the canal. Last time we were there, I had a foot problem and we spent a lot of time on the vaporettos. This time, we did a lot more walking. 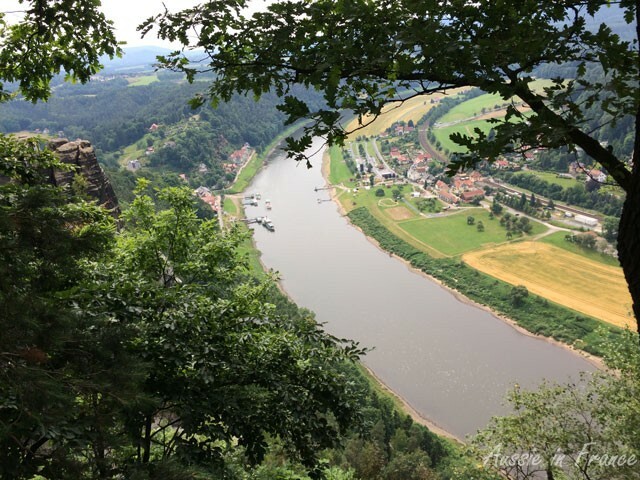 Next, Germany, where we cycled for a month, first along the Moselle River, then the Rhine, followed by the Elbe, which took as into the former East Germany then up to the North Sea and Friesland, chasing the sun and windmills. Highlights included Lorley and Koblenz on the Rhine, the Bastei Rocks and Honigstein in the area known as Saxon Switzerland near the Czech border, Dresden (particularly the singing drainpipes in Kunstof Passage) and Meissen known for its porcelain, Martin Luther country and the surprising architecture of Hundertwasser, the Wörlitz Gardens, Turgermünde, which we dubbed the prettiest village on the Elbe, the mediaeval towns of Celle and Bremen, the painted façades of Hann Münden, the windmills and dykes in Friesland, the hidden treasure of Bernkastel, and historical Trier, the oldest town in Germany. 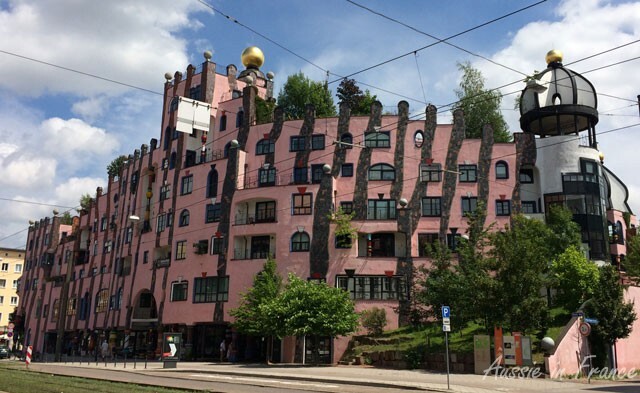 The street façade of Hundertwasser’s Green Citadel. Our Danube cycling trip in 2013, including the Wachau and Budapest, is still my favourite though. The scenery is stunning and we had near-perfect weather. September found us in Lisbon which we loved when the sun come out but found somewhat seedy when it rained, which was more often than not. The best surprise was the marvellous monastery of Jeronimos in Belem, which is among the five places in the world that have left an indelible mark on me. The others are Gaudi’s Sagrada Familia in Barcelona, Plitvice Lakes in Croatia, Tasman National Park in Australia and Rila Monastery in Bulgaria. Lisbon is a city of vistas and tiles and we even bought some 18th century azulejos to incorporate into our future kitchen. The other place we really enjoyed was Sintra with its beautiful palace and hilltop castles. We didn’t go very far afield in France this year, because we spent a lot of time cycling along the many paths around Blois and the neighbouring châteaux of Chambord, Chaumont and Cheverny, but we did go to Turquant on the Loire not far from Saumur for a surprisingly early cycling weekend in March. 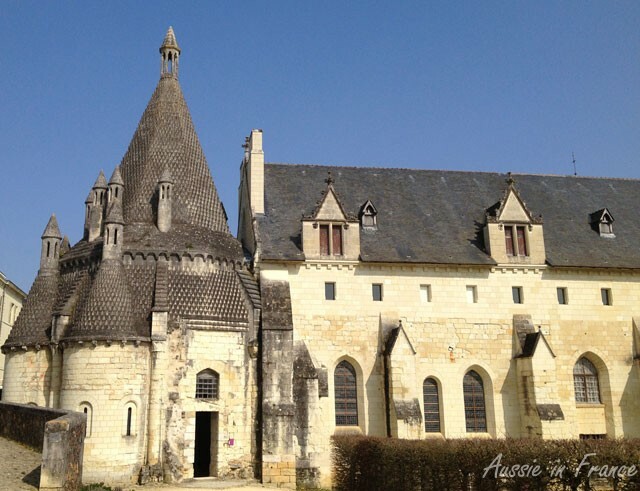 We went back to visit the austere and beautiful 12th century abbey of Fontevraud with its extraordinary kitchens. 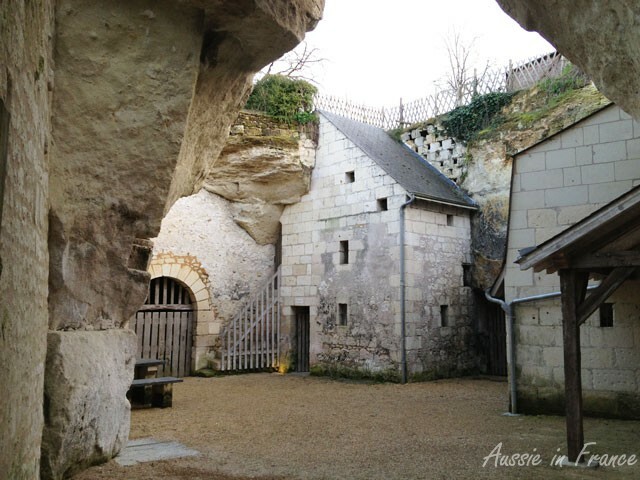 However the real find was the restored troglodyte village of Souzay Champigny which we literally stumbled upon on the bike path between Saumur and Turquant. Our first trip in 2015 will be to Granada for a week at the end of January to soak up the Spanish atmosphere of Andalucia, which we discovered (and loved) in Seville a few years ago and get some much-needed sun. We have a home-exchange in Istanbul to redeem, but haven’t fixed the dates yet. With Black Cat now living in New York I would like to visit the city through her eyes and take in Boston as well. I’m still hoping to go to Australia before the end of the year but don’t know yet whether that will eventuate. This summer may be a series of short cycling trips, along the lines of Turquant, as we plan to renovate the kitchen and add at least one large and several small windows to bring in more light. And, as everyone knows, renovation always takes far longer than expected! What are your travelling plans for 2015? 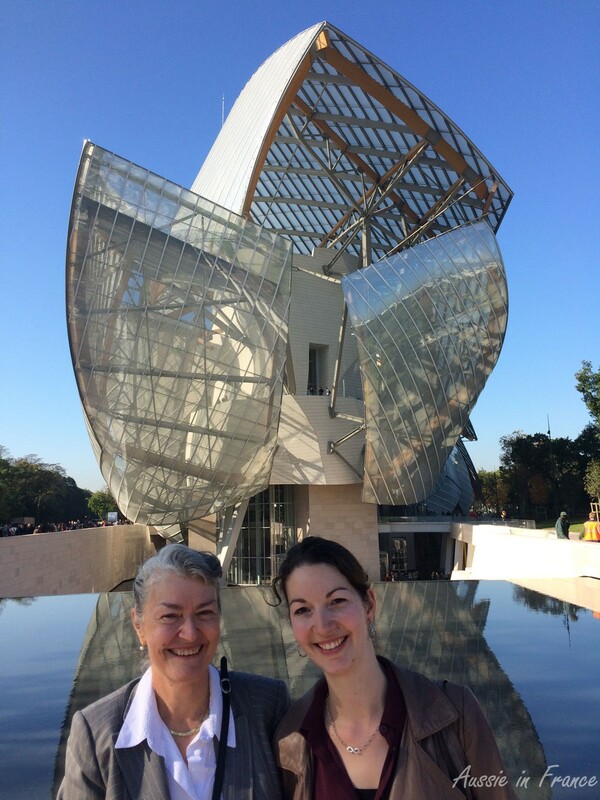 This entry was posted in Architecture, Australia, Germany, Italy, Loire Valley châteaux, Portugal, Travelling and tagged cycling in germany, how to choose a gondola in Venice, louis vuitton foundation, travelling plans, troglodyte village, visiting Lisbon, visiting Venice. Bookmark the permalink. What a year you’ve had, Rosemary, with lots of new adventures both further afield and closer to home. I really must get to the Loire Valley soon – some close friends were there just yesterday. It looks cold at the moment but the chateaux must be beautiful all year round. Wishing you safe and happy travels (and successful renovations!) in 2015. I do hope you’ll come and visit us! The châteaux are beautiful all year round, it’s true, but it’s always better in the spring, summer and autumn! Enjoy Granada. It’s the one place in Spain that I can wholeheartedly recommend. Pre-book your tickets to the Alhambra and expect to spend the whole day there. I’m looking forward to it. We’ve been told to pre-book the Alhambra but now we’ll know to schedule a full day. Oh, and pack a picnic lunch. Unless it’s changed in the last 10 years the food outlets are rubbish once you are in. What a year! 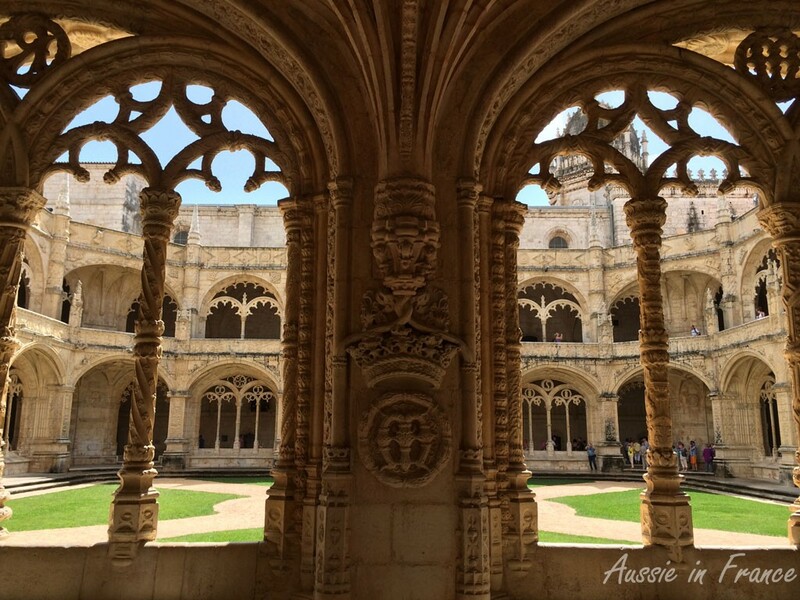 I absolutely love that photo you took at the Jeronimos Monastery. I went to Lisbon my first time in 2014 too and really enjoyed visiting that monastery. Wishing you a wonderful 2015! Your travel plans sound wonderful – Istanbul and Grenada are two places I really want to visit someday. I don’t have much concretely planned for this year except for a trip to Venice. Looking forward to it! Yes, I remember reading your posts on Lisbon. 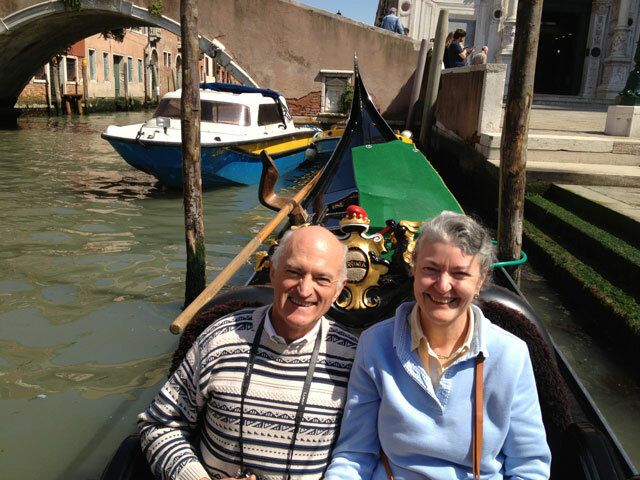 I wish you happy travelling in 2015 as well – I’m sure you’ll enjoy Venice. If you haven’t booked a hotel yet, I recommend the Amiral area. Close to everything but out of the crowds. You travelled a lot last year, and those sound like good ideas for this year. You had such an eventful year! All the best for 2015 Rosemary. I hope we’ll get to meet up somewhere along the way. Andrea, I do hope we’ll manage to catch up along the way too.